Car parks, those astronomically priced compounds that we can never seem to appreciate their full utility. They have become a mainstay in our transport oriented conscious for such an entrenched period that we sometimes forget to take stock and examine what they really are, multilevel hollowed out concrete storage. 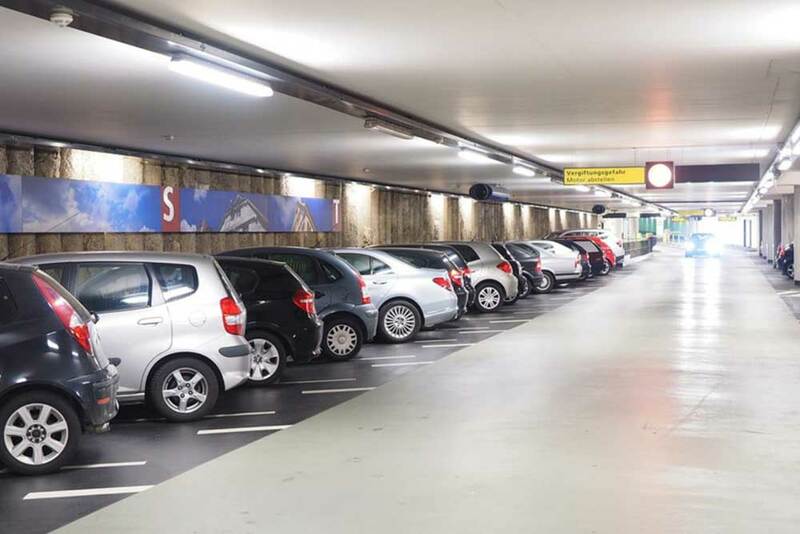 They are everywhere, all around us in the city, in shopping centres, around our schools, these large areas of space, sometimes several levels high, that exist purely to store our vehicles for a few hours. Some estimate that car parks take up roughly 50% of our cities space. Now any economist could tell you, this space, although providing a utility, is an incredibly inefficient use of our slowly eroding limited public space. As Melbourne grows, so too does the demand for land and space. Luckily, the arrival of autonomous vehicles may bring with it an exciting new opportunity for property developers and consumers alike. As we have previously discussed, these vehicles will start to be utilised more often as they operate outside of the strict confines of when we require them. This logic can also be applied to car parks. Instead of laying idle in multilevel storage cubes, our cars could be out on the roads chauffeuring us all around. Many analysts see this as the demise of car parks as we know it. They will no longer be profitable from charging high prices to let cars sit there for hours or even days, when the cars themselves have no economic desire to do so as they can be earning money from completing trips. This brings into question of what to do with these large car parks that exist. The initial reaction from a developer’s perspective is to reuse the space and repurpose it. where innovation and emerging design technologies will come in to play, leading to new products that could change the way we think about redevelopment. Developers must look at these latest opportunities and grasp the exciting potential of reforming existing structures to meet a bourgeoning city’s demand. An example of what is possible has been seen in Atlanta, where a developer repurposed an old car park into micro-apartments meant for Airbnb and holiday rentals. Such innovative ideas will come to be the norm in the ensuing years. It will be an exciting time for any developer that enjoys a challenge while opening up new stock and areas previously unavailable. A word of warning though, many researches have highlighted this as a risk to valuations and supply. As a swathe of large underutilised space becomes available and developers jump in, we could witness an oversupply of some product types. With this in mind, we should be excited yet cautious for what the future holds. It is thus important for policy makers, developers and all stakeholders to synergise this situation and create an environment that fosters development, innovation and progression.